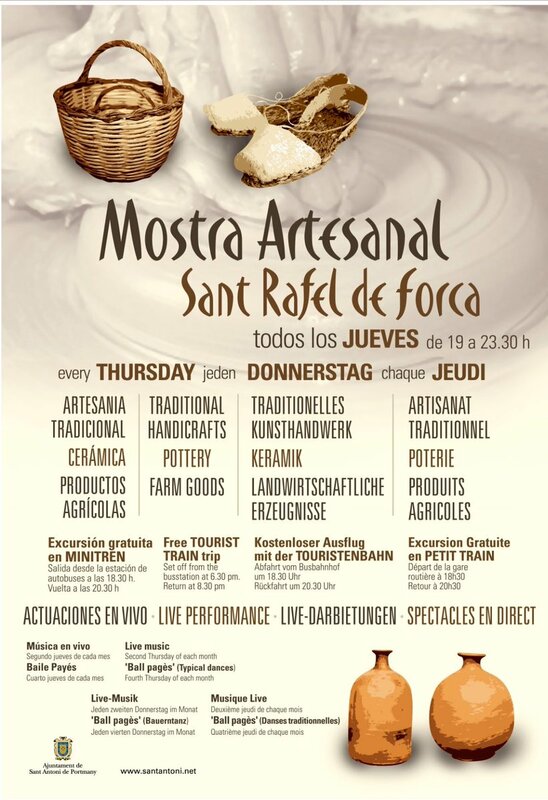 Every Thursday from June to September, the main street of Sant Rafael hosts the traditional craft exhibition. In this demonstration you can find natural and form Ibiza, agricultural products, pottery,... and other products handmade in a traditional way. You can also enjoy a free mini train tour around the village, departing from the bus station at 18:30h and returning at 20:30h. In addition there are special Thursdays: The second Thursday of each month, the exhibition delights us with live music and the fourth Thursday, with Ball pagès.